Happy Friday, everybody! It's going to be a GORGEOUS spring weekend in Mississippi! April can be a wild weather month - you never know from day to day if you'll have blue skies, tornadoes, or freeze warnings! But when the weather settles down and you have a sunny skies, there's nothing more wonderful than playing outside on a Mississippi spring day! I love the Chapel of Memories, y'all. I was delighted when sweet Melanie chose her alma mater, Mississippi State University, as the site for her bridal portrait session. 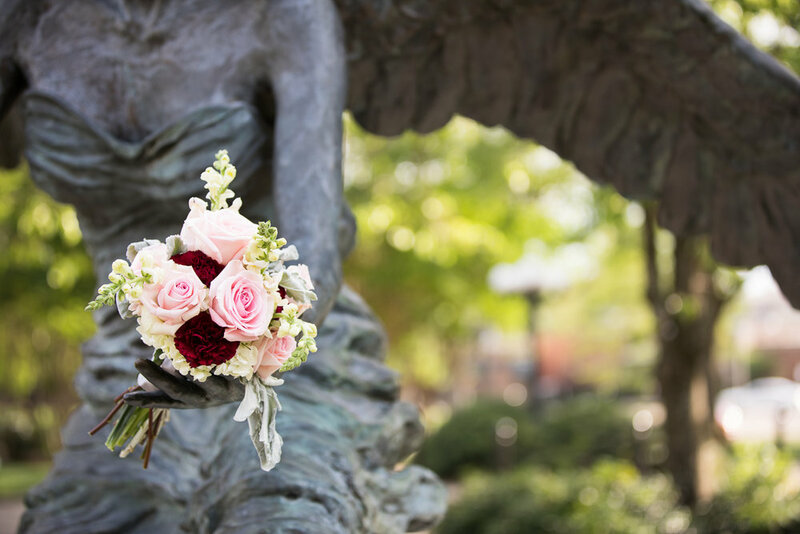 Not only is the campus beautiful in the springtime, it's a place that holds so many special memories for her. I could tell that just being on campus made her happy! The stained glass windows inside the Chapel of Memories are a work of art. I love taking bridal portraits here! We began her session with bridal portraits inside the Chapel of Memories. Melanie knows how to bring the drama, y'all! She owned the fact she was a QUEEN from the second she put on that veil! I mean, just LOOK at this gorgeous bride! Can you feel the sass? Y'all, can I just take a moment to tell you why I love bridal sessions? I love them because they give you a separate space to SOAK UP all the wonder and beauty and romance of being a BRIDE. I love them because they give you TIME to let your heart celebrate your unique beauty! A bridal portrait session before (or after!) your wedding day is a fun, relaxed way to tell more about the places you love, and let your style and personality shine through. It also gives you an opportunity to create an entirely different feel for these portraits than your actual wedding day portraits! When I plan wedding day timelines with my brides, I always create space for portraits of the bride by herself, and those are precious moments, y'all. But there's a special kind of fun in having a day set aside that is JUST for bridal portraits - where you can focus on just YOU! I love it when my brides take time to pamper themselves for their bridals! 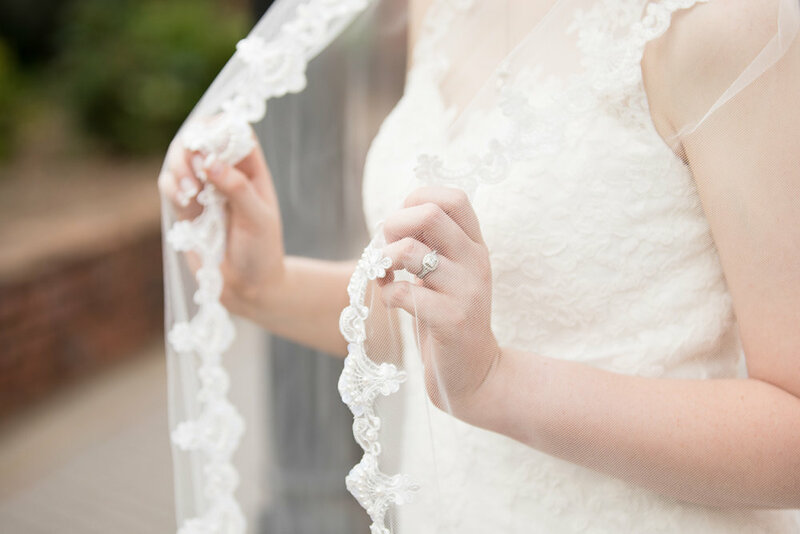 I loved the delicate details of Melanie's veil! And my last purely practical reason for loving bridal sessions? Because, sweet brides, they can SAVE YOUR SANITY!! Can I be real for a second? A bridal session before your wedding is like a trial run of EVERYTHING to do with your hair, your makeup, your shoes, your dress, and your veil. You'll find out exactly how long it takes to fasten those 30 tiny, slippery buttons on the back of your gown.... and exactly how long it takes to re-do them because you missed one! You'll find out if you REALLY want to wear those six-inch heels. You can try out your wedding hairstyle and makeup with your stylist and catch any potential problems. You'll find out if you can actually SIT DOWN in your dress or not! When you have a bridal portrait session before your wedding, you'll decrease the number of little surprises you might have to deal with on your wedding day! This can be a LIFESAVER if you are wearing an especially elaborate gown, veil, and hairstyle! Meryl Fisackerly of The Rambling Rose in Columbus created this sweet, romantic bouquet for Melanie's bridal session. It was so beautiful, of course the Angel of the Chapel of Memories had to take a turn holding it! Now, if having a pre-wedding bridal session just isn't your thing, don't worry! That is perfectly fine too! You don't HAVE to have a bridal session to rule out any wedding day surprises - you can practice your hair & makeup with your stylist ahead of time, and you can set aside a day to try out putting on your dress with your mom or a friend. (Y'all, I can't emphasize enough how important this is! Take time to put your entire bridal outfit on, and then wear it for a little while to get the "feel" of it.) If a separate bridal session day isn't one of your big priorities, that's no problem - just build a little space in your wedding day timeline for your bridal portraits! Now let's get back to sweet Melanie's bridal portraits at the Rose Garden in Starkville! 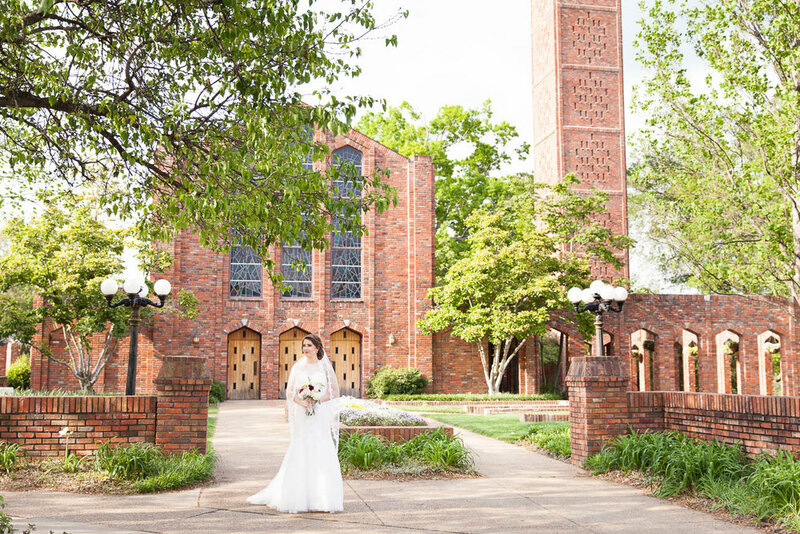 Melanie chose the lovely Rose Garden near the Research Park in Starkville as her second location for her bridal portraits. I've watched this beautiful garden spot grow and develop over the years, and y'all, it just keeps getting prettier and prettier. It was a perfectly romantic spot to end our afternoon with this lovely bride. Not long after this session, Melanie and her sweetheart Tyler said "I do" in May at the Hewlett Barn! I'll be blogging that happy day soon! But if you'd like a peek at their lighthearted fall engagement session on campus at MSU, you can see all the love here!